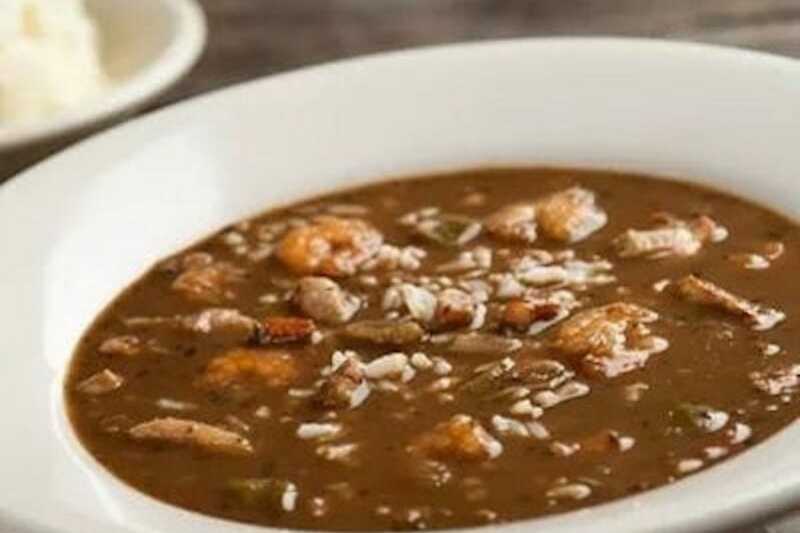 Louisiana declared gumbo the official state dish in 2004, but it’s been a staple of Cajun and Creole cuisine for much longer. While the exact origins of the dish are unclear, the name comes from the West African Bantu word for okra, “ki ngombo,” which was (and still is) used as a thickener in some recipes. While every restaurant has their own variation, most start with a roux base, the French “trinity” of onions, bell peppers and celery, and a dash of filé powder. 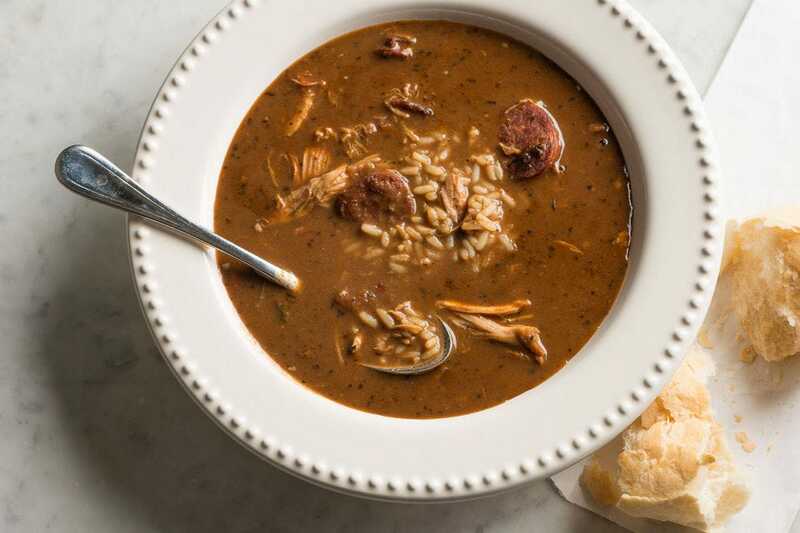 Chefs across the state are cooking up creative renditions, but the two you’re most likely to see are seafood gumbo or chicken and sausage gumbo. 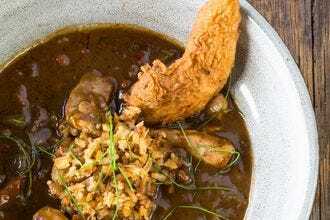 The Hambone Gumbo, found on the Small Plates menu of this Mandeville restaurant, serves their variation of the classic Louisiana dish with gulf shrimp, ham hocks, collards and a pickled okra potato salad. The gumbo du jour at Gris-Gris in New Orleans typically features chicken and spicy andouille sausage. It’s a guest favorite. The Gumbo Ya-Ya from Eliza in Baton Rouge is made with savory roasted chicken and andouille sausage in a dark roux with rice. 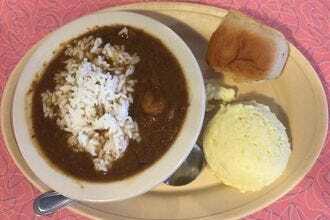 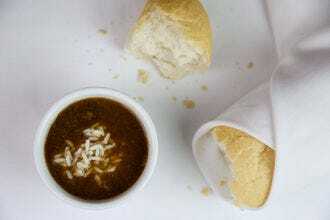 The gumbo at Spahr's Seafood is a guest favorite, especially in a cup alongside a half popcorn shrimp poboy. Among the extensive lineup of Creole and Cajun dishes at Antoine's Restaurant in New Orleans is a Gombo Créole prepared with blue crabs, oysters and fresh gulf shrimp. Two variations of gumbo make an appearance on the menu at Mr. B’s Bistro in New Orleans, a classic seafood gumbo with gulf shrimp, oysters and okra, as well as a country-style chicken and andouille sausage gumbo. 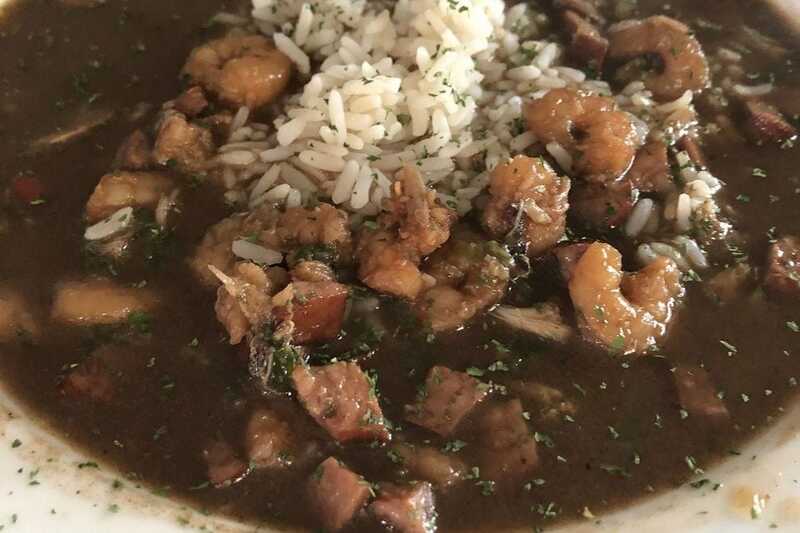 Diners will find two types of gumbo on the menu at Cher Amie's Seafood Restaurant in the town of Cut Off, a chicken and sausage gumbo and a seafood gumbo. 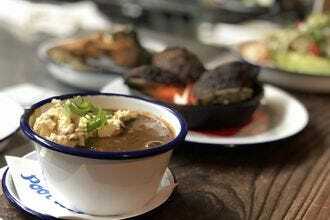 Both come as a cup or bowl with a side of potato salad. 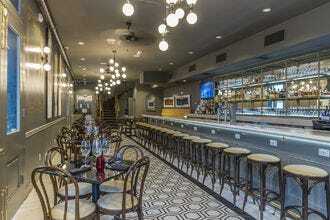 Kajun Twist brings the flavors of Louisiana’s Cajun Country to a 50s-style diner. 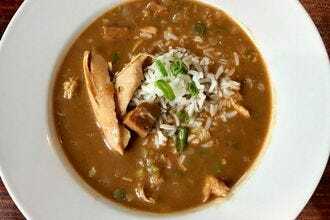 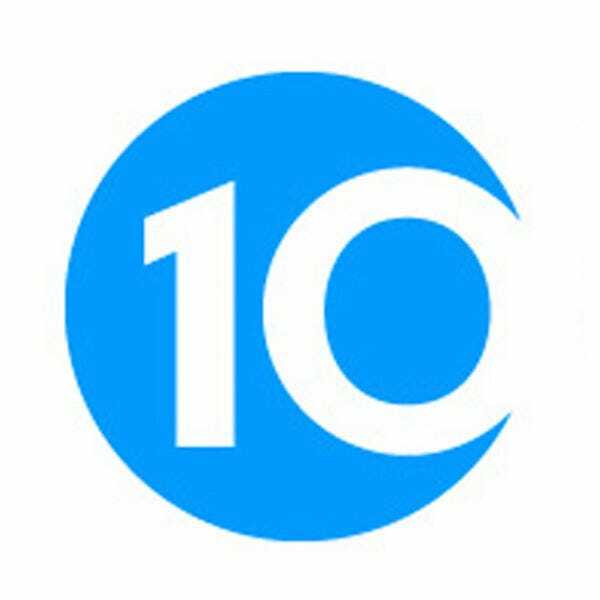 Hungry patrons can choose from a range of poboys, burgers and fried chicken, as well as a gumbo of the week (typically chicken or seafood). Housed in a former curio shop on Royal Street, Curio serves what they call “American cuisine with a Creole soul.” The menu includes a roast duck and black-eyed pea gumbo with andouille sausage and popcorn rice. Housed in a National Register of Historic Places building from 1876, Copper Vine serves a menu of classic New Orleans dishes alongside 30 wines on tap. 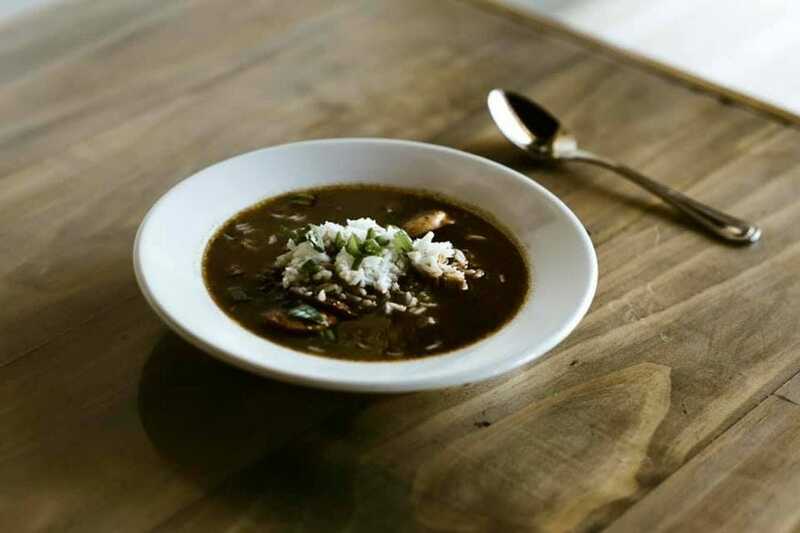 Copper Vine’s gumbo is made with chicken and boudin sausage.